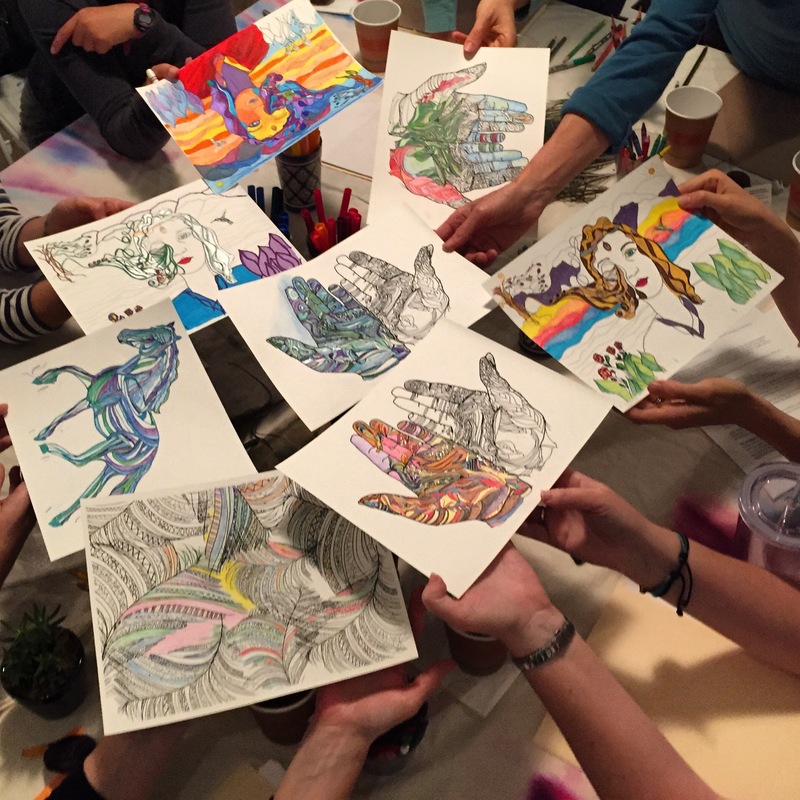 Explore your creativity and sense of peace as you color in unique prints drawn by me, Rose Candela. 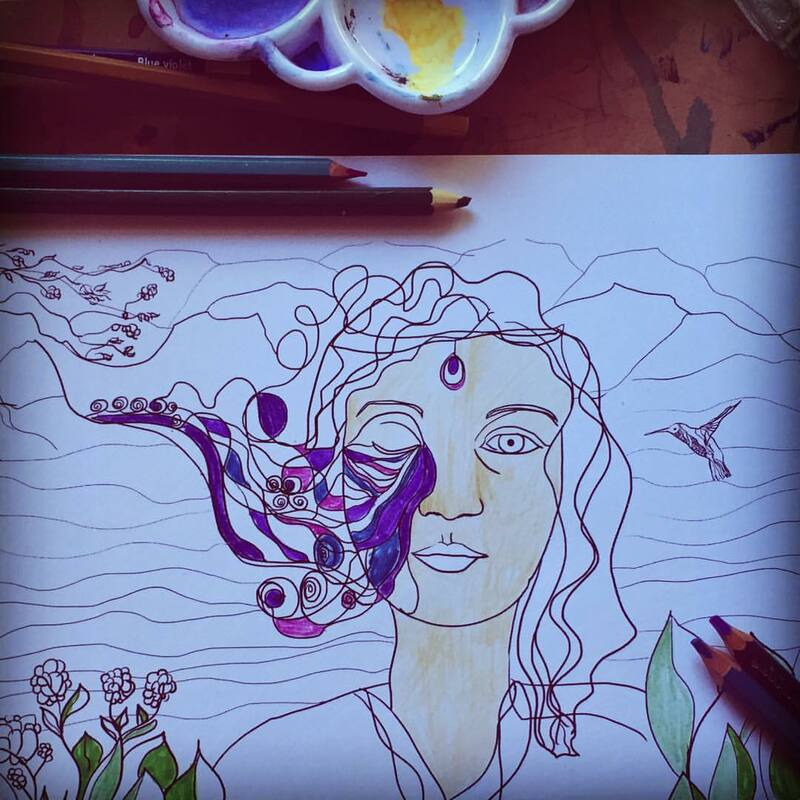 Explore your creativity and find a meditative groove as you color in these templates. The packet contains 4 coloring pages for your imagination to run free. 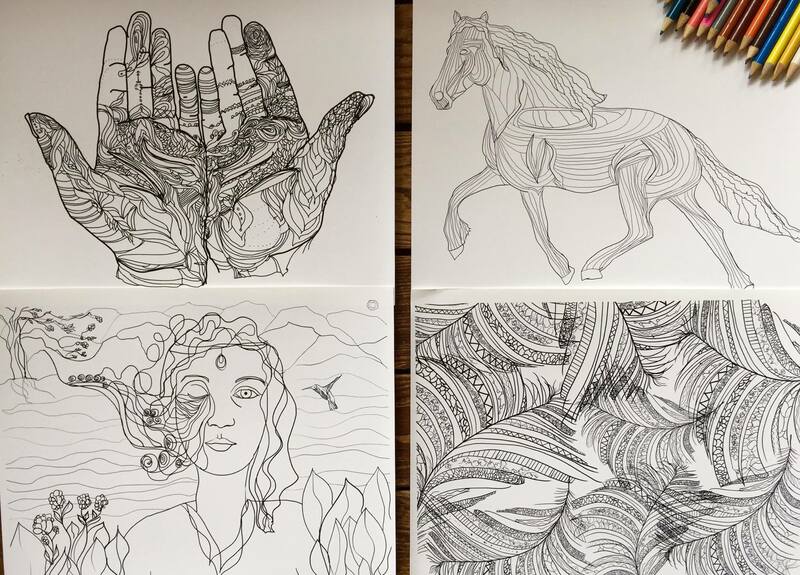 Templates are as shown in above image: hands, feather collage, goddess, and horse. Each print is on heavy stock paper (65 lb), which will withstand many markers and inks. Please make sure to check flat rate shipping for this item or else your item will not ship!